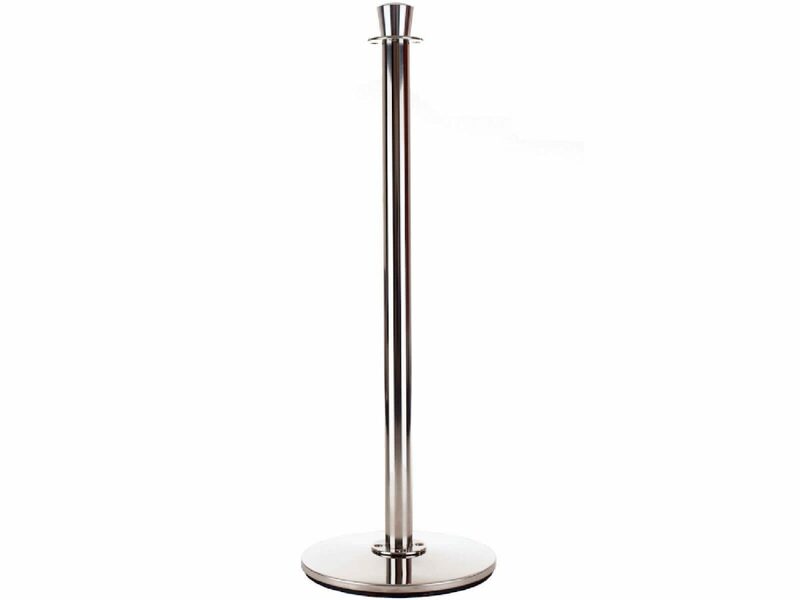 The Ultimate Taper Post comes as standard with a 19kg base and is manufactured from marine grade stainless steel. The tapered head is of solid construction as are the top and bottom fixing rings. 25kg Heavyweight, Floor Mount, Floor Socket and Magnetic bases also available. Supplied fully assembled with a semi-polished finish as standard giving a classic appearance which will last for years. Also available in Polished Stainless Steel, Brass Effect and Painted (standard RAL colours). The lower ring is floating which allows banners to bellow in windy conditions and reduce the risk of the post moving. Configured with both top and bottom rails, with the bottom rail acting as a tapping rail for the visually impaired.